Is exact Kanji stroke length important? I am currently on a quest to learn how to hand write the 2000 most commonly used Kanji. This requires lots of memorization, so efficiency is important. the lower right part has two jumps on the bottom, of equal length. How important are the jumps? When handwriting Kanji, does it matter if these jumps are of the correct length? Would the Kanji still be understandable without correct jumps? Would natives find it annoying, for example, if I didn't include the jumps at all? I am asking because the less little things I have to memorize, the faster I can learn the Kanji. 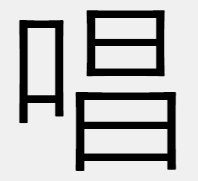 These "jumps" that you brought up are not part of the kanji, they are part of the typeface. When you are learning kanji, you should definitely not be copying or referencing printed characters. You should learn from hand-written characters. The basics of how to write kanji are not taught or learned from printed or typeface forms. But you wouldn't write those little tails in handwriting, would you? Not to take away from the general idea of the other answers, but those protrusions on the bottom end of「唱」are not serifs. 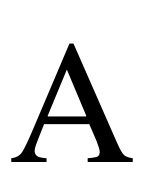 Noto sans CJK, a sans-serif font - sans-serif means without serifs. These protrusions have been present since one-pixel wide bitmap fonts - I presume their purpose is to enhance legibility. The font displayed in the question is classed as an East Asian Gothic typeface. In general, Ming typeface and its derivatives like Gothic typeface are unsuitable for handwriting imitation. 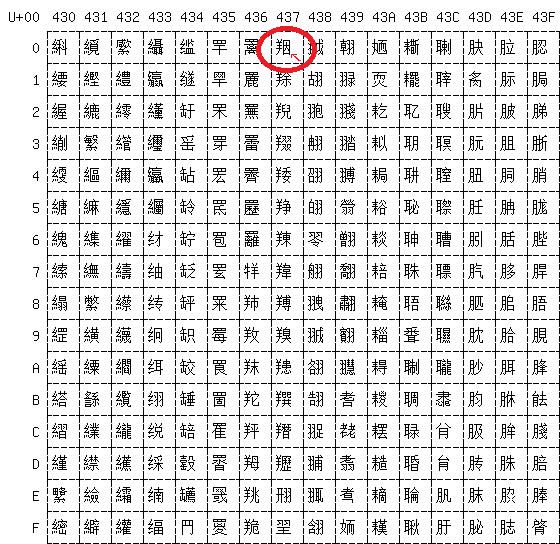 Please see Is there an "official" font or other writing standard that should be used when teaching kanji? and make use of handwriting previews if you want to copy a style resembling handwriting. Please keep in mind that kanji are traditionally practiced using a brush, rather than a pen or pencil. The tails are a result of correct brush usage, as each stroke may have it's open predefined nuance or flair. It is very useful to be familiar with these basics, but it is unnecessarily time consuming to attempt to have perfect calligraphy form all the time. The simplified, cursive examples provided by others in this thread exemplify how the calligraphy techniques, when sped up, act as a type of shorthand used to save time. This has more to do with strokes and stroke order. Some fonts will show these, others not. Some will even show such 'tails' in the middle of a stroke. Pay attention only if it helps you to get the kanji (especially strokes and stroke order) right. Not the answer you're looking for? Browse other questions tagged kanji handwriting or ask your own question. Is there an “official” font or other writing standard that should be used when teaching kanji? Why is stroke order important? why do some kanji have multiple stroke counts? What do you call the hooked tip of a kanji stroke? 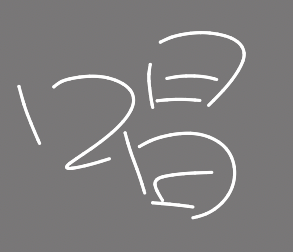 Stroke recognition in this kanji? Variations in the “same” kanji, how do you know which one to use? Are hiragana letters written with their small nuances? 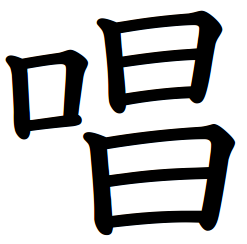 For the Kanji 校 is the fifth stroke connected to the sixth stroke?